You know what: I didn’t ever have a chance to cook a meat loaf recipe until I was well into my adult life. My mom was not a fan and I have never dared cooking it. But one day my daughter came back home from school and she said : I ate the best meat loaf ever. Mommy why don’t you prepare at home? Well since I am too proud to say that I did not know how and that I wanted to please her, I started looking for meat loaf recipes to cook! What don’t we do for our kids. They always challenge me and that’s the beauty of having kids! Anyways, I stumbled on this cheddar meat loaf recipe at Ricardo’s website! Of course I usually add my spin on it: either add ingredients and or remove some! What I love about this recipe is that it includes cheese and all my family loves cheese! ¼ cup of bread crumbs. Add your mixture in a 10. *5 pan. I love this Non Stick Healthy Meatloaf Set from Amazon (affiliate link). It can get a bit messy to stack that mixture in the pan. I find the final result looks better than cooking directly on a parchment paper as recommended by the original recipe. It’s up to you! I find that one of the best ways to save money on food is to cook with ground meat! It is cheaper than regular meat and there are endless ways to cook it! I usually cook a big batch and freeze in individual portions! It is convenient to add to any sandwich or to accompany your hearty healthy soup recipes! My daughter prefers it with some homemade tomato sauce and homemade garlic bread! 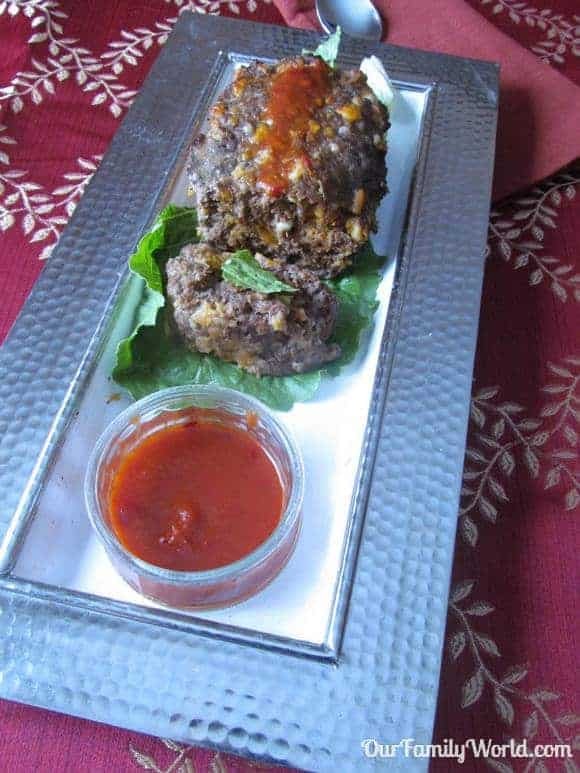 Do you cook meat loaf? How do you prefer it? Things to Do in Saint Sauveur During Winter Time: Skiing and Shopping! 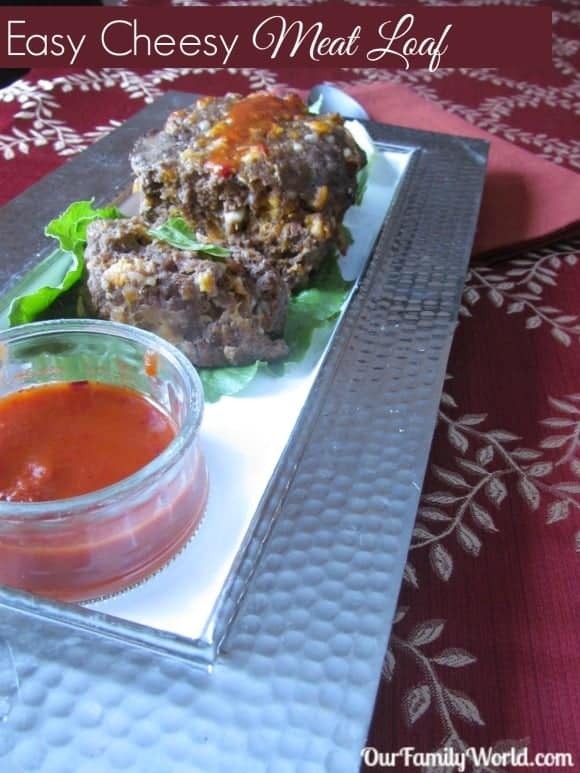 This looks like a great Meatloaf recipe that we would really enjoy! Thank you so much for sharing with Full Plate Thursday and hope to see you again real soon! This is one of my husbands favorite meals. This looks so unbelievably good! I need to try this! THanks! I can’t wait to try this recipe. I have been wanting to make meatloaf but didn’t have a good receipe. Excited! Mmmmm, my family would love this meatloaf with all that cheese! Thanks for sharing at Simple Supper Tuesday. We love meatloaf. But we have never put cheese in it. I never had a meatloaf with cheese in it before. That is a unique twist. This sounds yummy, especially with the addition of cheese. You can never go wrong with the addition of cheese :). I love meatloaf but I, too, have only made it at home once or twice. I actually find that it’s a lot of work to prepare! Yours looks delicious — what is the sauce? Busy Moms & Picky Kids Both Agree: EMERGEN-C® Kidz® is Awesome!